The true litmus test to discover whether a new word has entered popular culture is to send a text and see if ‘auto correct’ turns it into something totally unrelated. On this basis, the word ‘proptech’ has arrived. No longer converted into propjet or prophet, proptech has slipped easily into the estate agency lexicon and therefore deserves its very own supplement – and its very own industry body, with the UK PropTech Association in its embryonic stages. While technology specifically developed for the property sector has grown exponentially over the last few years – with thousands of companies vying for your business – many agents will be apprehensive about fully embracing the proptech revolution. Attitudes do seem to be changing, with an annual survey measuring the uptake of proptech showing 68 per cent of 2018s respondents were willing to adopt new technology, compared to 56 per cent asked the same question in 2017 . We always overestimate the change that will occur in the next two years and underestimate the change that will occur in the next ten. Bill Gates. The adoption of proptech is crucial if agents want to survive and thrive in a challenging industry – it’s not a threat, rather a complementary sector for an industry that is way behind the tech curve. For more proptech to cross over into everyday agency, however, it needs to be simple, scalable and affordable. Thankfully you don’t need a degree in computer science to understand the benefits, nor do you need to be Bill Gates to implement the innovations. Your digital partners of the future have humanised their offerings and have packaged them in agent-friendly ways. They come in peace, not to steal your jobs. 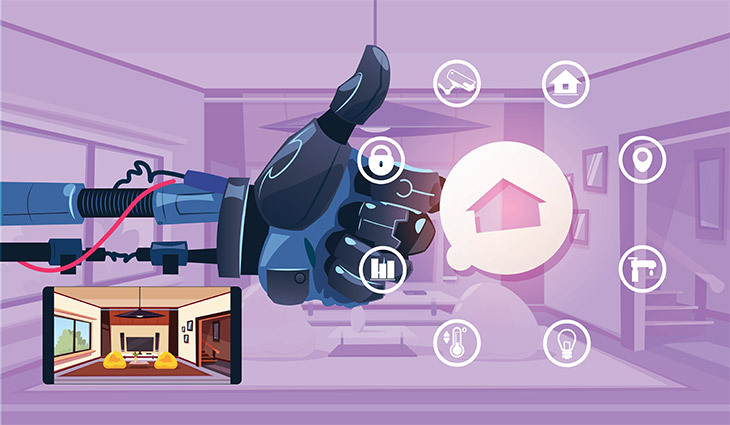 We have compiled a guide to some of the most exciting, cost-effective and timesaving proptech that we can find, no doubt there is much more launching soon. Don’t fret. The robots aren’t taking over the portals or conducting valuations just yet, but intelligent machines and software innovations that think like humans are already behind many automated agency functions. EyeSpy360’s virtual tour platform is already a hit with self-admitted technophobes, who quickly master the software to create property panoramas, but it’s EyeSpyLIVE offering takes property visits to a new level. This world-first product is designed to reduce up to 90 per cent of wasted viewings, which reportedly cost the industry £600 million in time. A virtual tour is blended with video calling, enabling each party to tour a property without leaving their desk or sofa. Multiple participants can be added for ‘open house’ style events and the tour can be further enriched with Google Maps, EPC certificates, floor plans and photos embedded in to the experience. There’s also EyeSpyPLAY – a platform that allows agents to create pre-recorded, narrated virtual tours for times when clients can’t engage in live sessions. “The feedback we’re getting from our agents is that they are winning instructions and taking deposits purely on the back of both EyeSpyLIVE and EyeSpyPLAY,” says Rebecca Arlington, Marketing Manager. Apps and APIs are the backbone of the today’s online society and now is the time for agents to plug in to the new services. Apps – software applications designed to run on mobile devices, and APIs – a piece of website code that’s made available to developers so they can create useful tools – have resulted in everyday conveniences, like being able stream radio on our mobile phones. In the property industry, APIs are useful when everyone wants to keep it simple and avoid a more complex integration with each other’s software. Viewings service, Viewber, uses an API so agents can order accompanied viewings at the click of a button. After 40 years in estate agency, watching Saturday viewing slots get booked by Tuesday, we launched Viewber, providing a real solution. Ed Mead, Viewber. “We’ve developed an API that plugs a real gap”, says Viewber’s founder, Ed Mead. “I found that developers were keen to create apps that they thought were useful, only to pitch an end product that we didn’t really need. “After 40 years in estate agency and repeatedly watching Saturday viewing slots get booked by Tuesday, we launched Viewber to provide a solution to a problem that was real, it actually existed. What’s more, our API set up means there’s no ‘buy in’ cost to the agent – it’s a pure ‘pay as you go’ proptech service with an almost overnight set up and no annual subscription.” The technology dispatches a Viewber to any UK property address and automatically notifies agents of viewing feedback, freeing an agent or property manager’s time to concentrate on core income-winning tasks. This last point shows where APIs and apps really can help property professionals to streamline and become more time efficient. 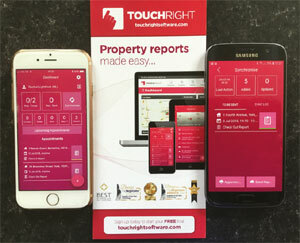 TouchRight is fundamentally a downloadable app with a cloud-based dashboard that replaces pen and paper. Designed for property managers, the app allows check in, check out, inventory and property inspection forms to be completed on mobile devices without the need for WiFi. Details are entered via a number of options, photos are automatically embedded and a built-in voice recognition facility translates the spoken word into text for effortless report population. The dashboard side of TouchRight gives managers secure access to properties, appointments, customisable templates, and current and historic reports from any device anywhere, with the ability to schedule visits and email directly from the dashboard. TouchRight lets property managers work more efficiently; they double the number of reports completed in a day compared to the traditional pen and paper. Terry Lightfoot, TouchRight. If you’ve ever broken into a sweat while a solicitor’s PA is typing up a crucial letter in order for a property to exchange, you’ll know that conveyancing is in dire need of modernisation. Thankfully there are a growing number of proptech companies dedicated to digitalising the process, with the Government’s full support. At least one in three residential transactions fail to complete, frustrating clients, wasting agents an estimated £600-£830m per year in lost revenue. Steve Dawkins, Gazeal. Gazeal’s award-wining proptech platform is one of them, created to accelerate the sale and conveyancing process by weeks or even months. “Over 1 in 3 residential transactions fail to complete, wasting agents an estimated £600m-£830m per year in lost revenue,” explains Steve Dawkins, Gazeal’s Director of Sales & Digital Marketing. Gazeal frontloads the conveyancing process – creating a digital legal pack when the property is first listed for sale under its Gazeal Xpress service. It’s akin to a HIP but better as there’s complete transparency and the entire pack can be sent as soon as an offer is accepted. Home movers cannot help but be impressed with the promise of a quicker exchange but for agents, the proptech behind Gazeal seeks to bullet-proof deals. Included under Gazeal’s single roof are anti money laundering checks, simple on-line property questionnaires, offers made and accepted on-line, and full compliance audit trails. “Deals are less likely to fall through because the point of exchange is reached up to 50 per cent faster, on average,” adds Steve, “and we want agents to avoid wasting time and money remarketing any property.” Gazeal Seal is the next step on – a reservation agreement that saves more money as once the property has been ‘sealed’ and the 14 day cooling off period expired, agents will have less sales progression tasks to complete. Taking a similar approach is When You Move – an interface that eliminates paper trails and delivers a proptech proposition that halves the amount of time solicitors spend chasing referrals and case tracking. The integrated platform is available for desktops, Android and Apple devices, so agents, conveyancers, mortgage brokers and the home mover can update transactions, upload documents and track cases in real time, without navigating systems that are outside of their daily workflow. The side effect of such an efficient system is increased referral revenue for agents, “Providing estate agents with access to rated conveyancers they can trust and the ability to identify a solicitor with the capability to deal with a case – thanks to our ‘Capacity Indicator’ – means less admin and more profit,” says When You Move’s Founder and CEO, Simon Bath. Fixflo, a repairs and maintenance software for property managers, gives agents time to upscale from small private portfolios into the build to rent and block management sectors. Although it’s picture-based reporting system is well known and liked by tenants, the perks for property managers are equally praised. A range of cloud-based solutions streamline the repairs process, while planned maintenance automation, compliance monitoring, and a native app for contractors to simplify job scheduling, and route mapping between jobs ensures repairs are logged, fixed and billed – super-quick. Property managers using Fixflo are also discovering the benefits of integrating with TouchRight, which automatically transfers repairs spotted during inspections to Fixflo. As well as time saving, there’s also the prospect of new income streams, with Rajeev disclosing that there are new modules launching soon that could turn Fixflo into a revenue generator for clients. While paper-based manual tasks are being taken from the traditional to the digital in a process of evolution, some lettings aspects have only ever known a proptech guise. Deposit-free renting is one of them, with a number of hand-selected companies already taking part in the Government’s Rent Recognition Challenge. As well as making it cheaper for tenants to secure a rental property and giving lettings agents a competitive edge with the lure of deposit free homes, companies such as Zero Deposit are shaving time off the pre-tenancy process. “Apart from the benefits of a faster rental process, there is no hard cash, therefore agents do not need to spend time and money registering a deposit,” comments Co-Founder & CEO, Jon Notley. Likewise, Canopy employs an insurance product to provide protection but it is also using the point where proptech meets fintech to create a new norm in lettings, in tandem with Open Banking. Its RentTracking service needs a one-off authorisation from a tenant after which it shares the renter’s payment history with credit referencing agency Experian. The rent payments are then used to build and enhance a renter’s credit report. “Sharing a tenant’s financial data may sound scary but Open Banking is designed to make life easier for people and that’s especially applicable to renters,” says Canopy’s Founder and CEO, Tahir Farooqui. As well as RentTracking, Canopy uses proptech to build a RentPassport for tenants. This portable, digital rental history gives letting agents access to pre-approved credibility information – decision making is reduced to just 60 seconds and time spent on referencing becomes negligible. “Instant tenant screening reduces voids and saves money, which is vital in today’s lettings market,” said Tahir. Artificial Intelligence (AI) is weaving its way through every strand of agency and one area that is ripe for its intuitive touch is marketing, where it can cut out laborious ‘step and repeat’ processes. ActivePipe is harnessing the forecasting skills of AI to assist agents in identifying new leads. We want agents to focus on the right clients at the right time, without fruitless blanket emails or uneducated cold calls.” Nick Jeffrey, ActivePipe. “Our service enables agents, which already include Manning Stainton and Balgores, to leverage automation to connect with their clients in a meaningful way,” says Nick Jeffrey, ActivePipe’s Chief Marketing Officer. What does that actually mean? Through direct polling and AI, the company can tell an agent who is an imminent seller, along with their preferences to upsize, downsize or invest. Once leads have been identified in real time, ActivePipe’s email automation platform comes in to play, with agents able to create email communications from a central point to quickly capitalise on hot leads, as well as create a pipeline for the future. ““Our service enables agents, which already include Manning Stainton and Balgores, to leverage automation to connect with their clients in a meaningful way,” adds Nick. Agents should not be wary of software – after all, CRMs are the lifeblood of today’s sector. Complementary software should be the natural next step to speed up and simplify processes. The beauty lies in the ability to cherry pick. From overarching packages that complete a wholesale rationalisation to task-specific products that play to an agent’s weakness, there is software to suit everyone. Audio transcription means that property managers can generate comparison reports on the spot, through a mobile app and online report publisher. Gavin White, Imfuna Let. Imfuna Let, for example, is a specialised software product for the inventory and inspections side of lettings – tasks that are guaranteed to take staff away from their desks. The idea that property visits can be conducted more quickly is very appealing, and the Imfuna mobile app uses the power of smartphones, tablets and cloud computing to facilitate full property inventories, check-ins and periodic or midterm inspections with nothing more than a screen. “Features such as audio transcription mean reports never have to be typed up, and property managers can pull up side-by-side comparison inspections and generate comparison reports on the spot, through a mobile app and online report publisher” says Business Development Manager, Gavin White, giving agents all the resources of the main office from one mobile device. Ehouse’s product Hotshoe and their photography service provide speed and quality to agents. At the other extreme is Hotshoe – an all-encompassing platform from Ehouse that takes the pressure off agents. 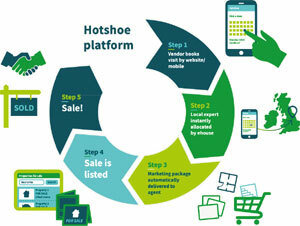 Realising that staff are at their best when dealing with people face-to-face, Hotshoe takes control of core marketing processes from instruction to listing, enabling the automation of the purchase, fulfilment and delivery of core marketing services. 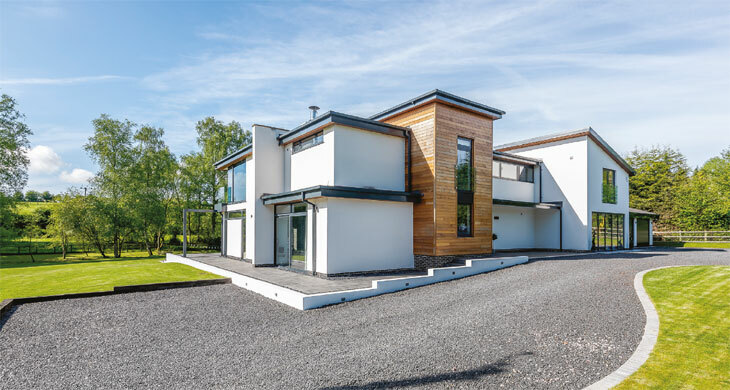 These include professional photography, floorplans, energy performance certificates, virtual reality tours and print – all designed and ordered via a one-stop website. There’s even a live appointment booking platform that both vendors and agents can access on a 24/7 basis. Hours spent designing property brochures and window cards, or running social media campaigns or newspaper ads can be avoided with pre-set packs. Karl Lewis, Mindworking. Software’s reoccurring theme is time saving consolidation, with proptech able to bring many lose ends together. Mindworking is a relatively new agency software that already enjoys a 95 per cent market share in Denmark. It allows for a wealth of tasks that require considerable amounts of human labour to be automated. “Hours spent designing property brochures and window cards or running social media campaigns and newspaper advertising can all be avoided with pre-set and reactive marketing packs that sync with existing CRMs or Mindworking’s own CRM package,” says Karl Lewis, Mindworking’s Country Manager. The software is loosely divided into three areas – marketing collateral, social media advertising and social friends. The last of these is a new collaborative experience that invites a seller’s trusted social network to add comment to a listing to create natural online traffic and improve SEO. Time saving comes in the form of automation and a growing relationship with artificial intelligence. As well as bringing design and print under one digital roof, Mindworking takes away the trial and error of social media advertising that many agents feel uncomfortable with. Delve deeper and there’s geo marketing, smart algorithms and ROI benchmarks that are set by the agents themselves. “By removing the need to switch between different systems, upload images and re-enter the same data, our users save time, produce better campaigns and are able to focus more of their energy on clients,” says Karl. Phew! You may have reached the end of this feature feeling excited by all these new opportunities to take your business up a stratosphere or two – or you may still feel confused! You may think that proptech is an alien force powered by gobbledygook but any good proptech company will have online demos and teams keen to hold your hand until proptech become as intuitive as picking up the telephone. In KPMG’s report: Bridging the Gap, their survey showed that property leaders can see where PropTech will make a difference: in better decisions and lower costs. 89 per cent of respondents agree that, ‘Traditional Real Estate organisations need to engage with proptech companies in order to adapt to the changing global environment. KPMG Global PropTech Survey, November 2017. Asked whether they view digital and technological innovation as a threat or an opportunity, most respondents (86 percent) voted opportunity. In truth, it is both. Emerging technologies, and the changes that come with them, certainly pose a threat to existing business models if organisations are unable to adapt and capitalise on the opportunity. The good news is that the vast majority of those surveyed acknowledge that proptech will have a very significant or significant impact on their business: 92 per cent think digital/technological innovation change will impact their business. Meanwhile 82 per cent think that digital/technological innovation is an opportunity. View our directory of some of the UK’s leading tech companies who specialise in property sales and letting software.